Interested in A Weekly Cleaning Servce? Cleaning payments are due before time of service. Once your service has been scheduled we will send you an electronic invoice that you can mail in or pay online. If you choose to pay by check at the time of service you must be home during the entire opening process. 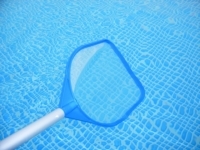 Unique Pool Management LLC will endeavor prompt and efficient service here-under, but it is expressly agreed that Unique Pool Management shall in no event be liable for damage or loss caused by delay or any loss arising out of the performance of this agreement. Unique Pool Management reserves the right to reject any agreement if, on inspection by our technician, system is found in such condition that service will be unsatisfactory to either party. It is mutually agreed that this agreement does not cover parts or labor to perform repairs and or any other service not listed above. No service will be rendered under this agreement if customer has a past due account. Unique pool management reserves the right to cancel the contract without notice and refund the unused portion of the prepayment. This agreement is for service at the above stated address only, if property is sold the agreement is transferable to the new owner.